The Great Kate Wait is nearly over! Royal-watchers are waiting with bated breath for news of the new royal arrival after Kate was admitted to St Mary's Hospital this morning at 6 am. 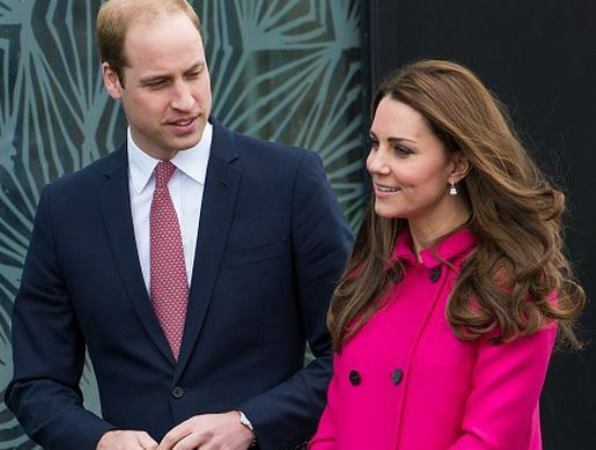 Kensington Palace confirmed the Duchess of Cambridge was in the early stages of labour. If she follows the same pattern she did with George her new baby could arrive before the day is over! William accompanied his wife to the hospital, where she'll give birth in the Lindo Wing. It's the same place where Prince George was born two years ago and the duchess gets a special discount for returning for her second-born's birth. The Lindo Wing, a completely private section of St Mary’s Hospital, was refurbished just in time for George’s birth in 2013 and prides itself on strictest discretion for its well-to-do clientele. Kate’s medical team will be led by surgeon gynaecologist to the Royal Household Guy Thorpe-Beeston with assistance by Alan Farthing. Both men helped now retired Sir Marcus Setchell, the Queen’s former surgeon and gynaecologist, to deliver George.